The best game I’ve played in 2018, and the best game I played last year, are the same as the best game I played way back in 2016. 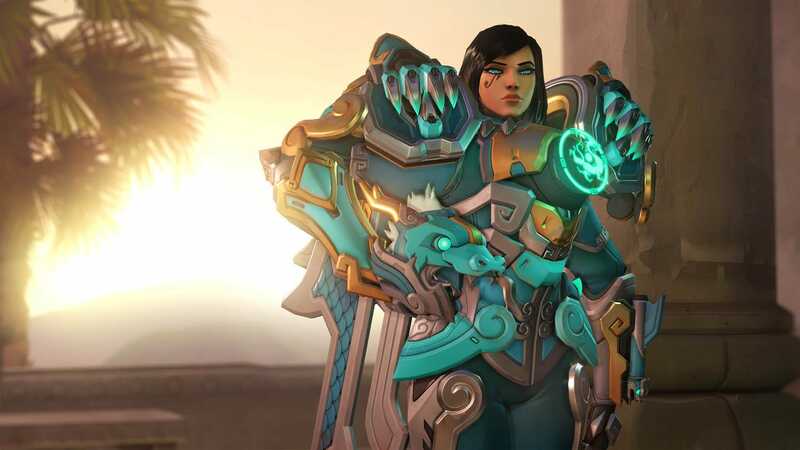 As Business Insider’s only reporter wholly focused on video games, I play as many as I can – but I always make time for “Overwatch.” It’s been the one constant in my gaming habit since it arrived back in May 2016. 1. 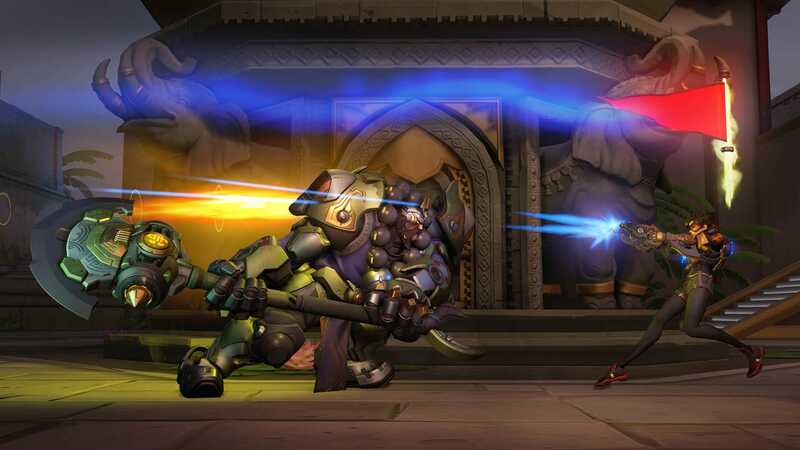 The core of “Overwatch” is immensely enjoyable and well-designed. It’s a so-called “class-based first-person shooter,” which means it’s like “Call of Duty” (a first-person shooter) except you play as one of 27 unique characters. Each of those characters is part of a “class” – healers can heal themselves and/or teammates, defence characters are built for defending, etc. Playing on a team of six unique characters, your goal is to complete one of several objectives before the other team can. It’s a simple concept that Blizzard meticulously crafted into something magical. 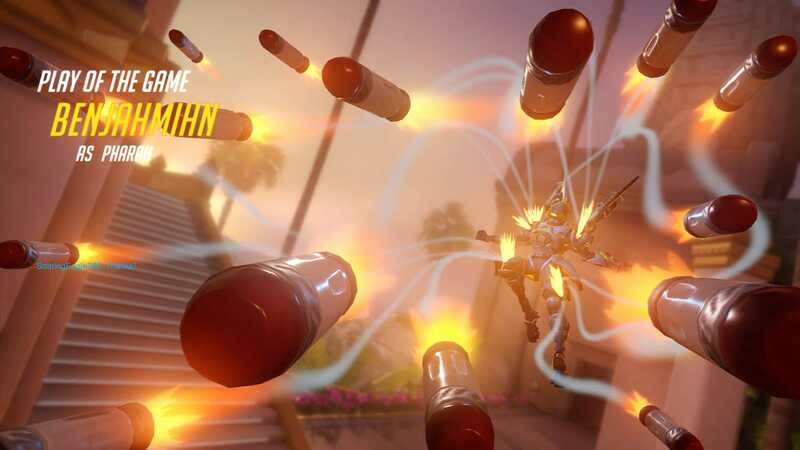 There are loads of online, multiplayer-focused first-person shooters out there, from “Call of Duty” to “Battlefield” to “Star Wars Battlefront.” But “Overwatch” stands out because of its tremendous attention to detail. Take just the game’s controls, for example: There is one set of controls across all 27 characters, yet each character is remarkably different and nuanced. No two characters play the same, yet all of them are controlled using the same easy-to-understand layout. At once, the game is superficially accessible and tremendously deep. That’s “Overwatch” in a nutshell. 2. “Overwatch” is always growing. Blizzard EntertainmentAll 27 characters, as of May 22, 2018. 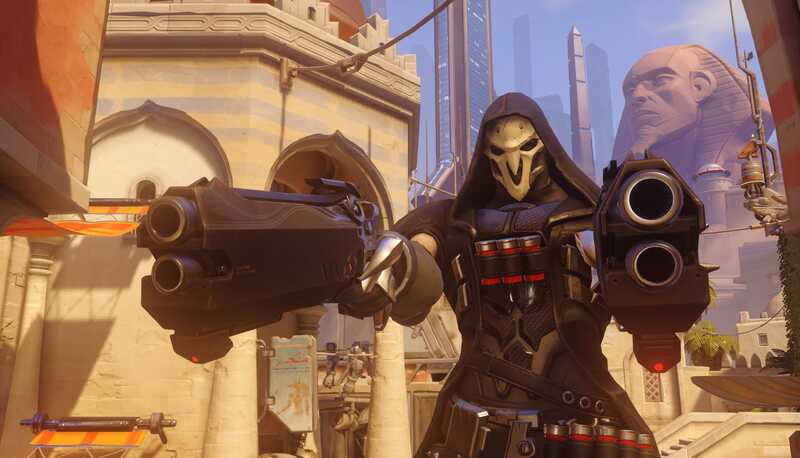 Since the game’s launch, “Overwatch” has grown significantly. It started with 21 characters, and has since added six entirely new ones. 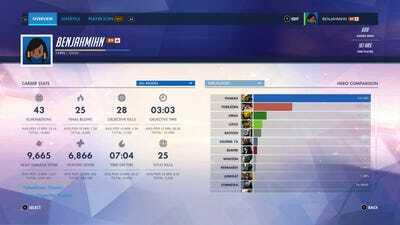 The same can be said for maps and game modes, to say nothing of the ongoing ranked “seasons” of the game (which add a layer of sports-like ranking to the game’s online modes). Tired of playing the game’s standard capture the objective mode? Jump into the Arcade section and play Deathmatch, or one-on-one, or Capture the Flag. It’s standard shooter stuff, don’t get me wrong – what makes “Overwatch” stand out is how completely different each character is. 3. “Overwatch” is built on variety. Blizzard EntertainmentPlay as this hulking giant with a space hammer! Or this super-fast lady with two guns! “Overwatch” is largely praised by critics and fans for its broad representation of the world’s cultures and different people. On a gameplay level, though, “Overwatch” is similarly varied. With 27 characters, you might think one or two play similarly – and you’d be wrong. What makes “Overwatch” so enticing for me is thinking about all the characters I’ve yet to even try playing. For the most part, I focus on one or two main characters as my standards: Pharah and Torbjörn. Throughout the year, Blizzard Entertainment holds in-game events. 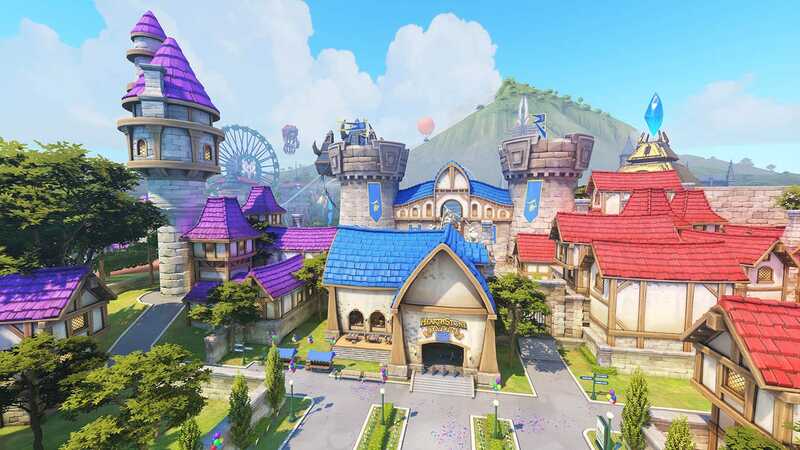 There’s the Lunar New Year event, for instance, which happened earlier this year during the Lunar New Year – it added a ton of new outfits for characters, as well as a totally new map and mode: Capture the Flag, and the map Ayutthaya. 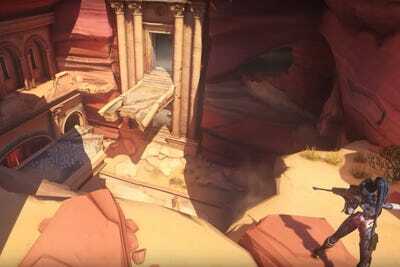 Right now, the Anniversary Event is going on – it added an entirely new map (Petra) for the game’s Deathmatch mode. 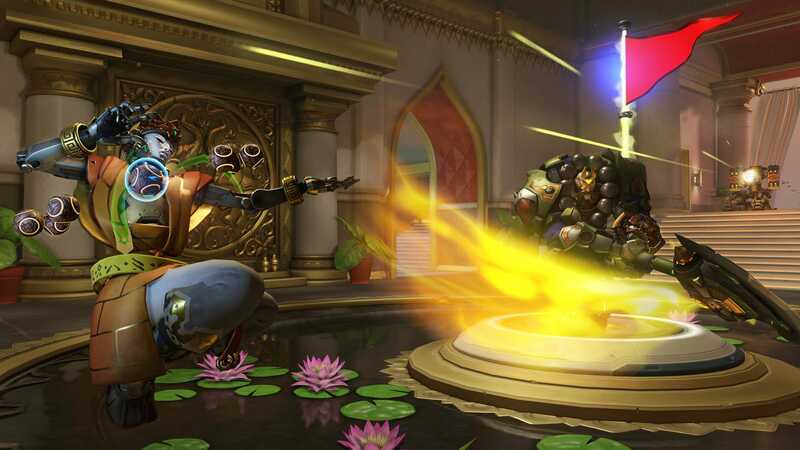 These events are a chance for Blizzard to add limited-time game modes, and to put in new outfits, and to generally interact with the very active “Overwatch” community. They’re fun, sure, but more importantly they make the game feel alive. I know, for example, that I can only get the limited-time Pharah outfit for the Lunar New Year during the period when that event is going on, thus motivating me to play more than I already am. It’s a little thing that makes a big difference. It also re-engergizes the game on an ongoing basis, as well as adding an ongoing excitement to the player base – a “What are they going to do next?” kind of thing. 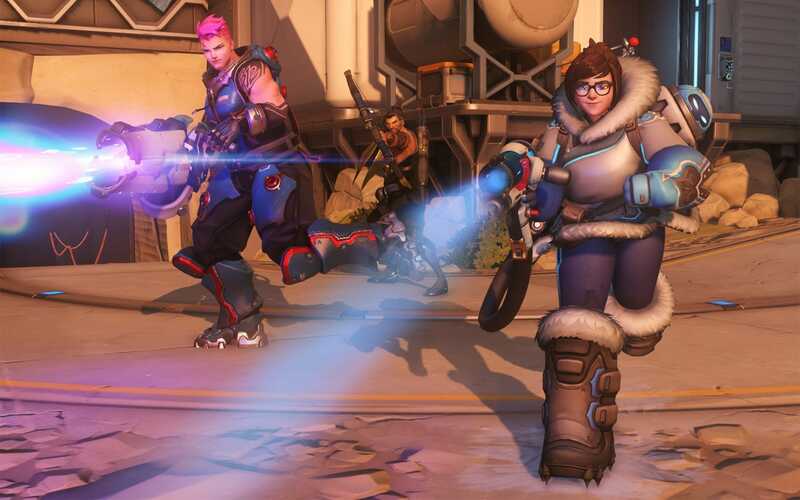 Even if you lose a game in “Overwatch,” your character earns experience. That “XP” eventually results in levelling up, which earns you a new “loot box” to open with stuff to dress your characters up with. Even when you lose, you’re still getting something. I rarely feel outraged while playing “Overwatch” – I’m doing my best, and I can only do as well as my whole team. And if we lose? No big deal! Maybe I’ll get a sweet new outfit for Pharah. I’ve been playing online shooters for almost 20 years (!! ), and in that time I’ve done a lot of yelling at screens as my team was defeated. That’s a rarity in “Overwatch,” and my hunch is that’s due to the game’s insistence on rewarding players even in the face of defeat. You lost? Here’s some stuff! It’s just a game! Enjoy yourself! 6. “Overwatch” is made up of worlds I want to spend time in. The worlds of “Overwatch” are cartoon-like, and colourful, and gorgeous. They feel like places instead of just arenas, and they’re smartly designed for complex, dynamic combat. More than just aesthetically pleasing, each of the game’s maps is tailored to its game type. Each is full of hidden nooks and carefully arranged cover, all crafted for whatever game mode you’re playing. Additionally, each map feels tailor-made for each of the game’s 27 characters. That is, of course, extremely unlikely – that it feels that way, though, is impressive unto itself. After each match, the game chooses a “Play of the Game” and shows each player a replay. For my first year playing “Overwatch,” I don’t think I got “Play of the Game” one time. 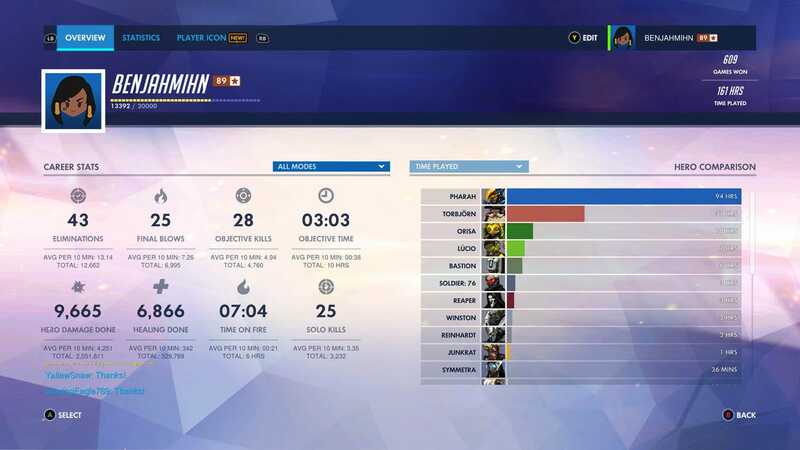 After nearly 200 hours playing “Overwatch,” and nearly 100 of those hours spent playing as just Pharah, I’ve gotten significantly better. I know the nuances of my main character in and out, and can wax poetic about the changes Blizzard’s made to her over time (“In my day, Pharah could only stay up in the air for a few seconds at most!”). I basically treat “Overwatch” like a sport. I don’t have ambitions of eSports grandeur, but I enjoy getting better over time. “Overwatch” is available on PlayStation 4, Xbox One, and PC, and all the updates since launch are included in the cost of the game.